Where I run off in all directions and have no single thing to say in a post. There were 75 pounds of vegetables collected today for the food bank. A lighter day for squash, and the tomatoes aren’t ready yet. I was up at the Conservancy gardens this morning, “basking” in the 70something degree temperatures with about the same amount of humidity. 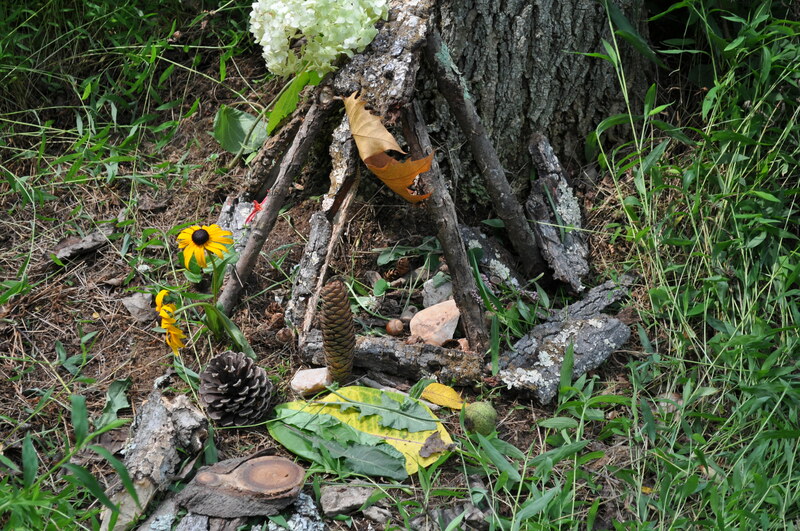 I hadn’t been there since Saturday, which was fairy house building day. This is what 118 people look like before they headed off into the woods. Creativity, a great time, and lots of pictures for this year’s album. Now, on to the next events, and the continuous harvest of my garden. 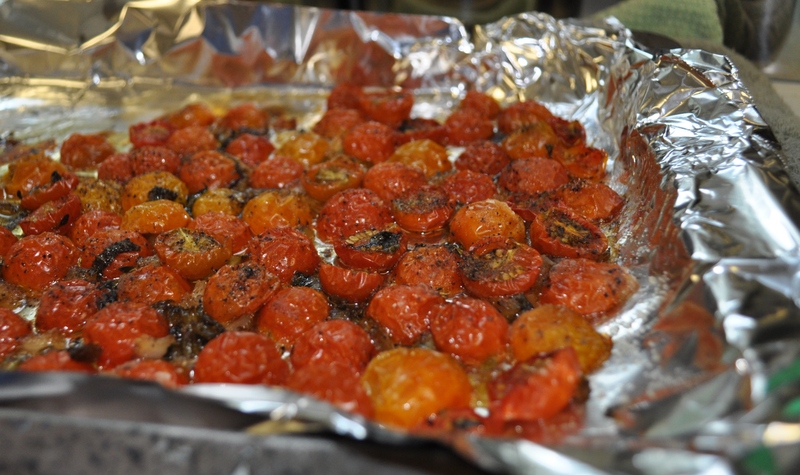 The bulk of the five dozen little tomatoes I harvested. Fifty supersweet 100s and 10 sungold. Mixed with olive oil, salt, pepper, thyme, basil, chopped onion and banana pepper, and a touch of sugar. Roasted at 250 degrees for a couple of hours. Destined to be frozen and used as one of my recipes in my presentation next month on preserving food. Then, there were the onions. I had to harvest a number of them today, as they were getting mushy at the top. We had 1.5 inches of rain in the rain gauge at the garden (in a 36 hour period). 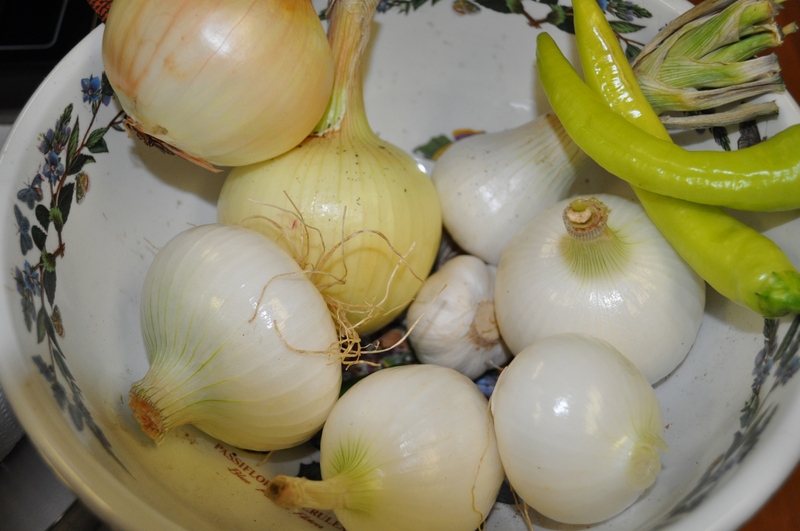 It is driving us nuts, splitting tomatoes and washing away my mounded soil over the onions, leeks and shallots. 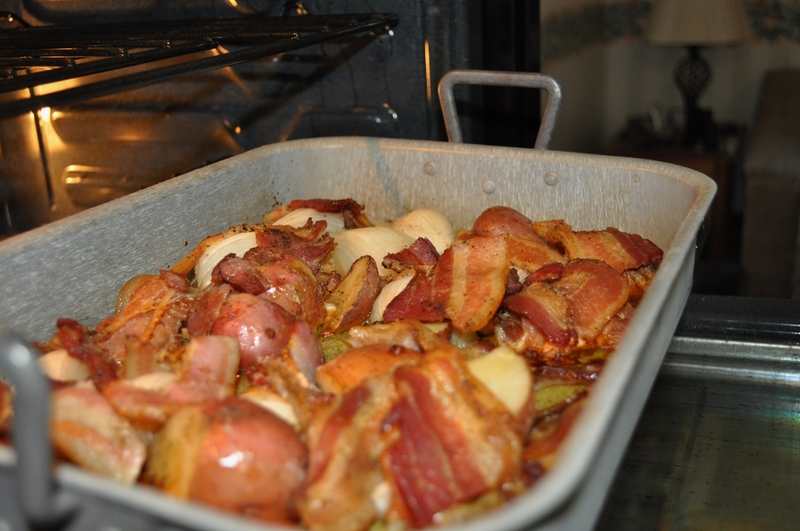 Some of those onions, along with new red potatoes and bacon from England Acres, roasted along with the tomatoes. There will be a very nice salad made from this. 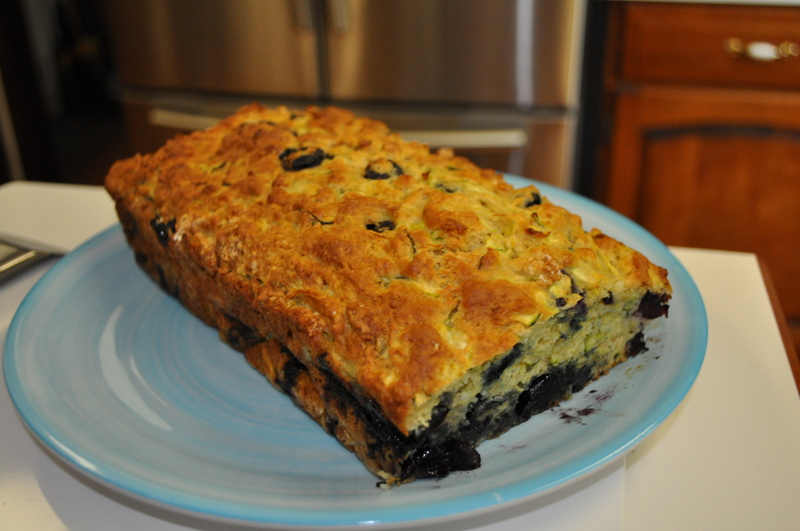 As for zucchini, I did make that lemon blueberry zucchini bread. Thanks to the Lean Green Bean. I did substitute, as usual. Used all AP flour. Upped the sugar to about 4/10ths of a cup. It tastes wonderful. There is more shredded zucchini sitting in the fridge so that tomorrow I can make zucchini fritters and freeze them. Another project for that preserving food program scheduled in late August. I have been a busy bee today. Time to head off and watch the All Star Game. 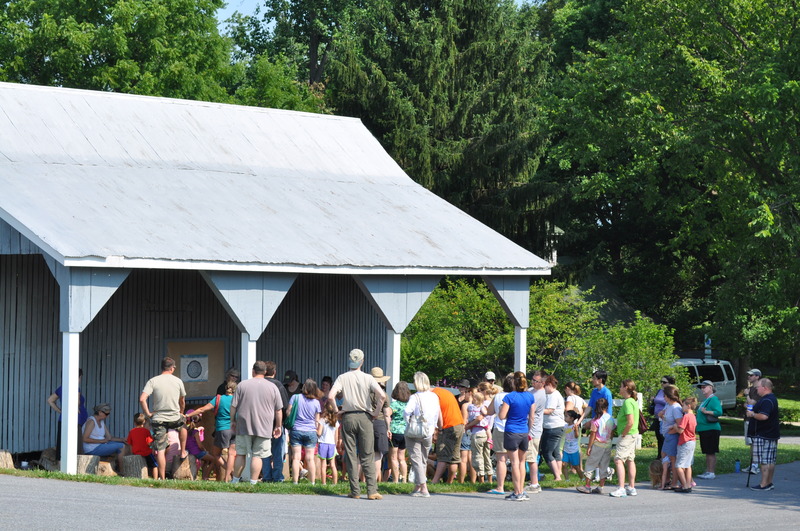 Posted in Community, Food, Gardening, Howard County, Real Food, Volunteering and tagged community, cooking, Food, foodie, gardening, Howard County, howard county conservancy, Locavore, real food, tomatoes, volunteering. Bookmark the permalink.